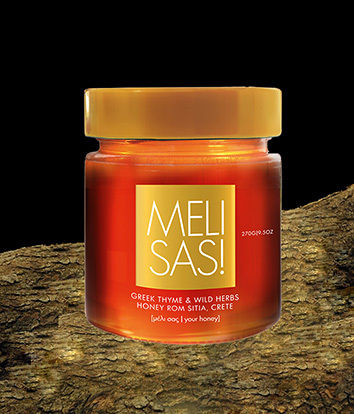 Meli sas* is a delicious thick honey from the mountain slopes of Sitia, in the Lasithi area of Crete in Greece. It is world-famous for its top quality and taste. Rich and full-bodied, Meli sas has a marvelous aroma and a fine aftertaste you will never forget. Nothing else tastes like it!